James Voss at the 2016 AIAA Space and Astronautics Forum and Exposition in California. September 23, 2016 – James S. Voss, AIAA Fellow and CU Boulder aerospace scholar in residence has won the 2016 American Institute of Aeronautics and Astronautics (AIAA) Haley Space Flight Award. 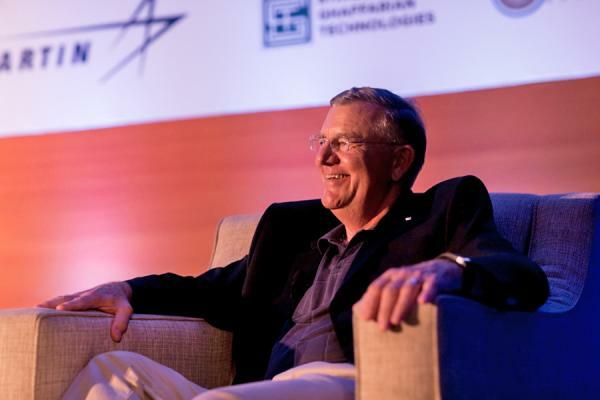 Voss received the award during a 12:30 p.m. luncheon on September 15, held at the AIAA Space and Astronautics Forum and Exposition (AIAA SPACE 2016), at the Hyatt Regency Long Beach, Long Beach, California. From 1984 to 2003, Voss served at NASA in a variety of capacities, including as an astronaut, engineer, and manager. As an astronaut, Voss completed five space shuttle missions and four spacewalks – including one that was over eight hours long, the longest to date. Voss was also part of the second crew to inhabit the International Space Station (ISS), and the first person to operate the ISS’s Canadian robotic arm. He was also the first American astronaut to train on and fly on the Russian Soyuz spacecraft as a flight engineer. In total, Voss spent 202 days in space. While at NASA, Voss also worked in space shuttle safety, and in the wake of the Space Shuttle Challenger disaster in 1986 was a member of the STS 51-L accident investigation and space shuttle return-to-flight activities. He was also a capsule communicator, an Astronaut Office training officer, and a manager in ISS flight operations. Additionally, a member of the U.S. Army, Voss was the senior Army officer and commander of the Army detachment at NASA Johnson Space Center. After leaving NASA, Voss was employed by a number of aerospace firms, all developing human spacecraft for NASA. Voss’ last project before retirement in 2013 was the Dream Chaser, a lifting-body spaceplane developed by Sierra Nevada Corporation. A noted educator, Voss was a professor of mechanics at the U.S. Military Academy at West Point, as well the associate dean of engineering for external affairs at Auburn University. He also taught numerous professional development courses, and is currently teaching a class on human spaceflight at CU Boulder. 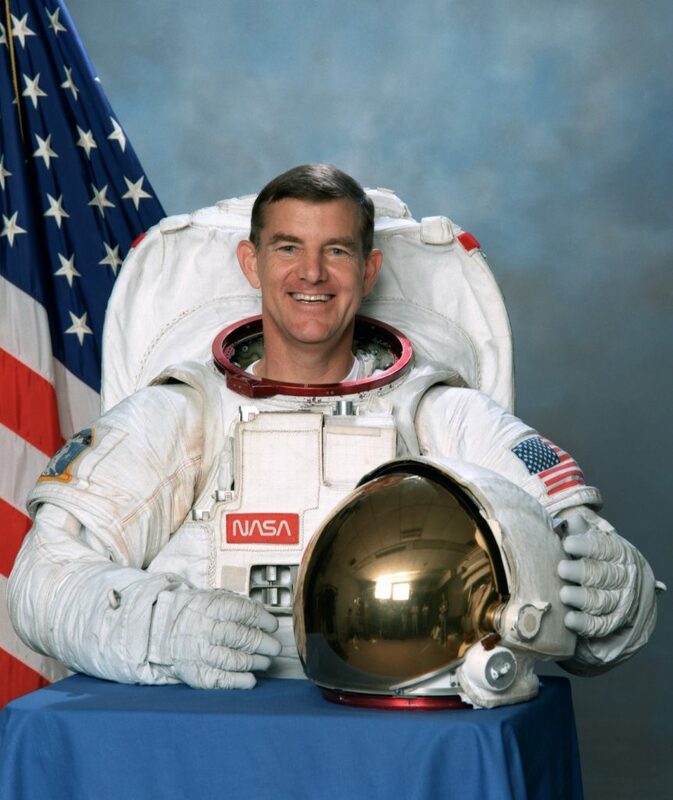 Voss’ past honors include a NASA Distinguished Service Medal, U.S. Army Distinguished Service Medal, five NASA Spaceflight Medals, the Russian Spaceflight Medal of Achievement, and the NASA Leadership Medal. Voss is a member of the Alabama Engineering Hall of Fame and the Alabama Aviation Hall of Fame. The AIAA Haley Space Flight Award, a biennial award, honors outstanding contributions by an astronaut or flight test personnel to the advancement of the art, science or technology of astronautics. Voss received a master of science degree in Aerospace Engineering Sciences from the University of Colorado Boulder in 1974 and an honorary Doctorate degree from the University of Colorado Boulder in 2000.